Christian Benteke is ‘happy’ to be back fit and he is targeting a strong finish to the Premier League season with Crystal Palace. The 28-year-old Belgium international forward, who cost the Eagles a total of £32million when he joined from Liverpool in summer 2016, has endured a shocking season in which a knee injury has restricted his game time. 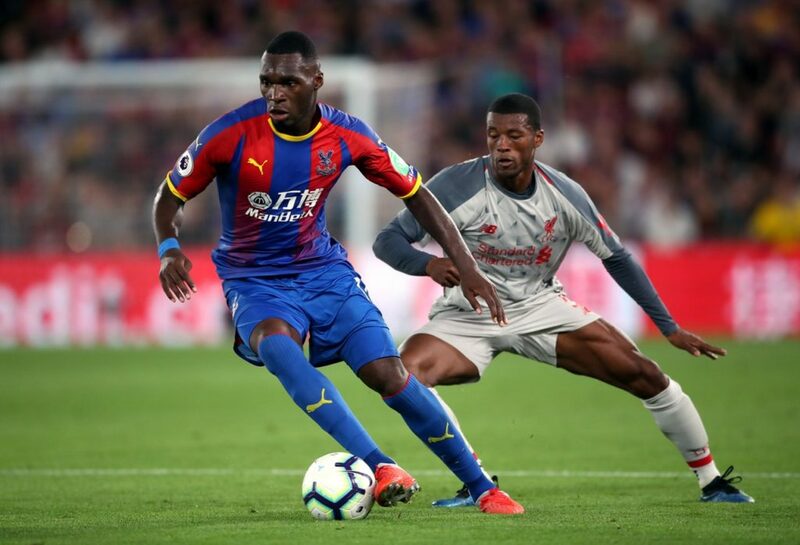 Boss Roy Hodgson handed Benteke a first start since February 9 in Sunday’s 3-1 defeat against Manchester City at Selhurst Park and he managed to play the whole 90 minutes. And, despite going 14 appearances without scoring this season, the former Aston Villa man was pleased to come through the encounter unscathed and is now looking to feature in Palace’s remaining games. He told the club website: ‘I am happy. It has been a tough season with injury but the main thing is for the players to control what they can control. ‘I am always available for my team-mates and I work hard in training to be where I am.